Hiro is a high school student who is mainly interested in job as a manga artist of shōjo manga under the moniker "Nagi Shindo" (新堂 凪, Shindō Nagi). Hiro used the given name of his older sister Nagi Hirono, and a homophonic spelling of the family name of his childhood friend Kei Shindo to create the moniker. 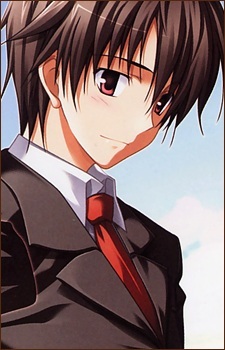 Writing manga causes him to lose interest in school and focuses mainly on his work in order to earn an income, as usually he does not have much money as it is. After meeting Miyako, he starts hanging out with her more.